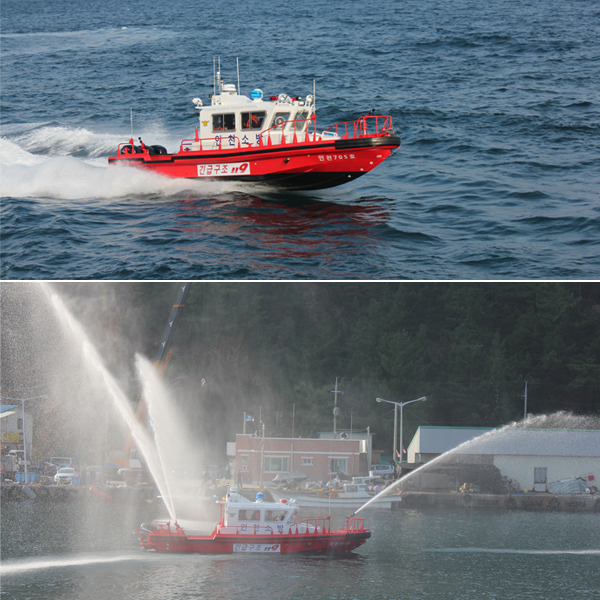 A New Multi Purpose Fire Boat was delivered to Incheon Fire Depart in Dec 2013. A couple of key equipment in this Boat are Darley pump for fire suppression and IR Camera for LIfe Saving. Also, its bow was strengthed to break ice during the winter period. It is expected to perform critical roles in preventing accidents in Gyeongin Ara Waterway.